Supply Chain Strategy: Big Data or Big Bust? 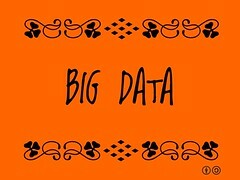 First, a few thoughts on how Big Data could be helpful. Using downstream data on consumer insights, for example, could provide valuable insights into emerging consumer demand and enhance forecasting. Consumer feedback on carriers and deliveries can be used to improve outbound execution. Finally, monitoring Twitter or Facebook feeds can catch consumer dissatisfaction with deliveries and provide a forum for addressing the issues. But Big Data accumulation and usage may be problematic. First, Big Data has many owners beyond your company--shipper's own the purchase orders, but carriers and many other third parties own much of the in transit/delivery data. Big Data owners are increasingly charging for data access, or limiting access due to consumer privacy concerns. Finally, linking together various data sources to get a coherent view of deliveries processes is a complex and expensive process. So when your boss, after having read a glowing article on using Big Data to solve logistics problems, shows up in your office and asks what you are doing to integrate Big Data into your execution processes, be sure you have at least done your homework on what data may be useful and where you can get it. Your supply chain software provider, who is probably already evaluating how to add Big Data to their applications is a good place to start. There are numerous articles I have read recently on the subject of using Big Data to improve supply chain decision making, but none worth noting here. Stay tuned...I continue to look. Streetline Inc., a San Francisco-based developer of smart parking solutions, has raised $15 million in Series B funding. Fontinalis Partners and RockPort Capital Partners co-led the round, and were joined by return backer Sutter Hill Ventures. In my previous post on the company, my idea that the solution could be extended to make urban truck deliveries more efficient by indicating which loading zones were open near a delivery site has yet to make the product offerings. Hopefully it is under consideration, as companies lie FedEx and UPS would pay well for such an offering. From Xconomy Seattle, "CEO Dale Keep of RoadWyze (Walla Walla, WA) regaled the audience with stories from his 36 years of working with government agencies dealing with snow, ice, and other weather conditions on roads and highways. His company, founded in 2004, places wireless sensors in roads to communicate things like air temperature, surface temperature, humidity, and pavement conditions (ice or no ice) to computers in road-management vehicles. “The solution is data,” he said. The idea is that all this data—the sensors could be placed every mile or so—will let authorities spend less money on salt and road chemicals by pinpointing where they’re really needed. It will also make roads safer for drivers. A case study in Maine suggests the technology could reduce the $32 million spent on salt in the winter of 2008-09 by about one-third. RoadWyze currently has four employees and a number of patents pending. Its latest prototype sensor systems will be complete in July, Keep said." Real time information, such as road traffic density, surface condition and current/projected weather data are crucial planning inputs to motor carrier operations seeking to reduce delays, accidents and overtime. The emergence of additional real time information sources, in conjunction with crowd-sourcing traffic data from companies like Waze-see earlier Blog on them--are building the basis for a whole new traffic management space as our nation's highways become more crowded and innovative delivery scheduling solutions become the norm. Streetline Networks is trying to solve the big question for drivers in cities--where is that nearby parking space? They make traffic control technology that makes it tougher to park cheaper or get away with not feeding the meter. Streamline's applications lets parking authorities identify crowded streets and raise parking-meter charges at a block level. The concept is to encourage drivers to park in a parking lot, or seek a space in a less-crowded neighborhood. San Francisco, Sausilito and Los Angeles are installing the technology. Low powered magnetic sensors are embedded in roads to detect cars in parking spots or moving. The real-time data is transmitted to receivers in traffic control boxes, then sent onto city parking managers. 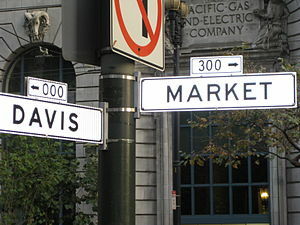 If a street has high traffic and no parking spaces, San Francisco may raise the meter rates to as much as $6 per hour. The prices will register on the meter and on the city's web site. In early tests, the system paid for itself in two months, primarily due to new parking tickets issued. The technology could also be adapted to help trucking companies better manage inner city deliveries and reduce double parking because cars are parked in loading zones. Using the real-time traffic data, trucks could also be routed away from traffic congestion. Remember the inventory/production debacle at Cisco in 2001? Perhaps the story got lost in the deflating of the Internet bubble, but it is worth recounting as we look at the promised and pitfalls of using real-time data to manage supply chains. Cisco bragged in the Harvard Business Review in early 2001 about its "virtual close" software. The CFO asserted that they could close their books within hours, and more importantly, "the decision makers who need to achieve sales targets, manage expenses and make daily tactical operating decisions now have real-time access to detailed operating data across the supply chain". However, within twelve months, the company had written off over $2 billion in inventory and laid off 8,500 people. In their defense, Cisco managers did say that the real-time forecasting systems prevented a more major disaster in later quarters. But smaller competitors with less sophisticated technology rode through the storm without such drastic problems. What happened? The big issue was growth, or rather being blinded by it and failing to look at any scenarios that modestly reduced growth to see what impact that would have on inventories. Another problem was long lead times for key products. Customers and Cisco sales guys got used to inflating orders to ensure that they would get what they needed. When the slowdown in demand began, customers canceled orders quickly, leaving Cisco with a huge inventory bulge in its supply chain, the result of the famous "bull whip effect" in action. Since demand was so high, Cisco had previously locked up key product components with long-term supplier commitments, promising to buy all that was produced over a period of time, no matter what. The problem was exacerbated by the continuing use of real-time customer and sales person input into the forecasting system. As long as everyone had rosy forecasts, the system kept telling suppliers to build the product. When the rosy forecasts ended, some Cisco managers refused to believe what the market was telling them. There was a three month period of denial and then they could no longer ignore what the real-time economic data was now telling them--which the economy was tanking. Unfortunately, the real-time Cisco forecasting models did not include macroeconomic factors or projections in their analyses. So, what’s the final word from Cisco? The CFO later said that the "slowdown happened at Internet speed" and that "they were developing a new module for their forecasting system—it’s called a crystal ball". Getting Real #4: What are Innovative Ways to Use Real Time Data in Management? What are some opportunities for using real-time data beyond alerts and monitoring? Real-time data is being used today by a number of innovative companies to improve supply chain performance and customer satisfaction. At Toyota, for example, when you buy a new car off a dealer’s lot, they are ready to dispatch the replacement vehicle to the dealer within 15 minutes of the sale. Similarly, Coca Cola vending machines in Japan are connected to the internet for replenishment management, allowing intraday refilling of high volume locations. Finally, Zoom Systems provides automated robotic retail stores in high-traffic airports and malls, full of brand name products such as iPods you want to buy. Like the Coca Cola machines, they are connected to the internet to allow fast replenishment and theft monitoring capabilities. What are other examples of how real-time data can be used in future supply chain operations? Customer-specific shipment monitoring is a way to improve service without making expensive changes to your existing distribution systems. Assuming many issues with customer shipments are caused by failures to anticipate issues in order picking, pickups and deliveries, real-time performance monitoring capabilities could be developed for one or more top(or most profitable) customers to avoid issues before they become problems. Remember that there is no guarantee that seeing problems can lead to instant solutions, but at least you can initiate some actions to mitigate problems. On-shelf availability improvement via RFID/UPC data analysis and store-level employment management is an emerging technology that has significant promise for solving the "last 100 feet" problem in retail. Often, suppliers have 95+% fill rates to the store, but on-shelf fill rates can drop below 80% if store employees, agents or DSD personnel are not correctly restocking the shelves. By monitoring real-time RFID and UPC data at the store level, suppliers can anticipate and even forecast when shelf shortages are likely to occur, resulting in higher sales and profits for both the retailer and the suppliers. Using intelligent agents to track/evaluate/fix real-time events in supply chains sounds like a technology out of Star Wars. But the technologies already exist today and are widely used in the IT infrastructure world to monitor and repair server and related hardware problems without human intervention. For example, knowledge that a carrier may have problems with a scheduled pick up could be used query the carrier about whether another vehicle could be dispatched, to find an alternative carrier from the preferred list if not and notify the customer of the new delivery arrangements, all without human intervention (unless needed). Multi-level inventory optimization and management across supply chain partners is becoming a critical management tool for companies with global JIT supply chains. Increasing layers of safety stock (or safety stock "creep") across multi-echelon supply chains which involve outsourced manufacturing, numerous suppliers and carriers as well as multiple distribution points can result in higher costs and misplaced inventory. Traditional inventory optimization, often performed locally by a specific supply chain partner with minimal knowledge of what other companies were doing in other parts of the supply chain results in sub-optimal decisions and lots of extra costs due to higher safety stocks. Innovative, multi-echelon inventory optimization models, using real-time data on manufacturing and delivery status, can significantly reduce safety stock levels and costs while actually improving customer service levels. Optimized supply chains to globally source products is not a new idea, but one that has been advanced by the availability of real-time information on customer wants and production/distribution availability. A number of software applications are emerging that build supply chains optimized to source customized products quickly and efficiently, including customizing and personalizing products and services for individual customers at a mass production price. Mass customization has been the dream of academics and supply chain pundits for years. The idea that you can order products that are truly individual and customized to your needs is not a new one. Amazon.com lists numerous books in the mass customization space. H-P, Nike, and Levi Strauss are examples of companies who have successfully used mass customization to develop specific products for individuals, generally at much higher margins than regular products. But the big issue for mass customization for most companies is that mass customization requires a unique and dedicated supply chain with different technology and manufacturing needs. New software is appearing which can solve many of those problems, across a variety of industries. Location Aware Real Time Enterprises (coined LARTE by the Tech Blog cognoscenti) refer to companies who use real-time GPSS, RFID, wireless, among other data and technologies as an integral component of their business models. Think of FedEx and UPS who use these technologies to optimize pick up and delivery on a real time basis for their trucks on the road. Sears Home Services , among other technology and appliance service companies, use wireless communications to schedule technician repairs, notify customers of delays, access warranty record and service manuals and create/charge bills immediately to credit cards. Similarly, Frito Lay has used wireless technologies for years to compile store shelf inventory to ensure optimal truck stocking for next day delivery. Next week, we finish the real time data series with a cautionary real time data usage study starrring a darling of the Internet revolution, Cisco Systems. Getting Real #3: How Can I Begin to Use Real Time Data in Decision Making? If I Get It, Can I Use It? Perhaps the major issue for professionals seeking to use real-time data in their supply chain decision processes is how to convert real-time data into real-time information. As we noted earlier, current supply chain software applications, other than visibility, are not well equipped to manage much real-time data. Further, management processes and the people that operate them are not prepared to handle more frequent data feeds. Given this background, what can we say about how real-time data can become real-time information to help you better manage your company? Start by understanding where real-time data can most help your supply chain. If it is in customer satisfaction tracking, why not begin with a pilot program monitoring shipments to key customers. Assuming you have access to real-time delivery performance data, begin by monitoring arrivals at distribution centers so you understand where issues may be arising and why. You may be able to use visibility software from your current enterprise software package and assign a team member to analyze the data on a part time basis. Have them report to a broader team, including sales & marketing people, weekly on what they found and whether the results are useful information. When you have enough information that you can trust and believe that you want to continue the process, you can also preview the analysis with your customer and see if they find the new data valuable and if it saves your company money. If so, only then should you consider making the process part of your ongoing supply chain management structure. How Can I Solve the Bad Data Problem? Real-time data can yield real-time problems, but not always real ones. Huh? A recent study of IT professionals by Netuitive, a real time analysis software company, found that 41 percent of respondents in large companies receive more than 100 alerts per day, of which half or more are false positives. Many companies have responded by increasing alert thresholds above optimum levels to avoid excessive alerting or have turned off their alerting functionality completely. We can probably expect the same results from use of real-time data, as opposed to real-time information, in supply chain settings. Processes for ensuring that real time data is correct and requires action are difficult to develop without employing business process rules engines. Will Real-Time Data Improve Forecasting and Planning? Enterprise software providers, plus some smaller vendors, are just beginning to introduce supply chain applications that can take advantage of real-time data. It is still too early to project the longer term implications of real-time data on supply chain management. Some early experiments, like the Cisco case study below, have produced less than stellar, even troublesome, results. Significant research remains to be done into how optimization algorithms should incorporate real-time data. Overall, the future looks cautiously bright, but there is a lot of work left to do before real-time data becomes a standard tool in supply chain management processes. Can More Data Lead to Poorer Decisions? A recent study (cited in CIO Magazine) by researchers at Georgia Tech and the University of North Carolina evaluated whether increasing the frequency of real-time data updates would "enhance performance" in companies. Specifically, they wondered whether people would be able to respond more quickly to changes in their environment and result in better decisions and actions. The conclusion was that "managers who received more frequent data points were making poorer decisions". The issue was being able to distinguish random from systemic problems and not react to every issue as if it were a real problem that needed instant resolution. Next week, we will examine some innovative uses for real time data in marketing and supply chain operations. Is Real Time the Answer or the Question? One thing is apparent in all these discussions--we probably do not have the right data to answer many of these questions. Internal enterprise information, while voluminous and correct, can often be weeks old by the time it becomes available for use in monitoring or analysis--and does not contain much up-to-date supplier, customer or carrier data. CPG companies do have access to IRI, Nielsen and Retailink information, which is useful in telling us what, is selling at what customers. But we often do not have access to data that tells me what is happening in our supply chain right now, especially after the shipment has left the dock. We get into a complex world when we start to contemplate using "real-time" data. Real-time can mean many things to many people and does not have a precise or definitive definition. One should begin by asking a simple question--is there information, which if you could get real-time, would help you better run your supply chain? • What changes are key customers requesting? • Are there any shipments in trouble? • Is delivery performance to my best customers meeting standards? • Did I miss pick a number of orders today in one of my distribution centers? • What inbound orders may be delayed from vendors? • Can I start forward picking orders for tomorrow? If so, which? We could go on and on, but the point is clear--there is clearly a role for real-time data in supply chain management. What are some of the key questions to be addressed around the acquisition of real-time data? Your internal company data sources are probably not focused on collecting and managing much real-time data at present, primarily because much of it resides outside the firewall with your supply chain partners. Vendors, carriers, distribution center operators and 3PL's are increasingly making some real-time data available on customer-specific portals. However, collecting all that information from so many diverse sources can be a huge and expensive task. What is the right time frame? Should I collect real-time data every minute, every hour, every day? It all depends on the potential application and the frequency with which you need the update. We are talking about massive amounts of data, much of which is not relevant or unnecessary to managing the supply chain. The last thing we need to do is inundate decision makers with additional information that will not improve supply chain performance. How do I clean/store/manage the data? Going after real-time data can create major issues around how to maintain and manage the resultant data sets. You do not want your staff acting on incomplete or erroneous information, nor do you wanting them spending time on managing the acquisition and cleaning up of the data (a much more difficult task with external, real-time data sources). You also do not want your staff acting on erroneous or incomplete data. For example, although real-time data may flag a problem shipment, it may only be delayed for a short time and ultimately reach the destination within the delivery window. And you certainly do not want your staff sifting through mountains of data to determine the real answer. Can my supply chain software use it? Although many vendors are rushing to incorporate real-time data into their software, the primary use today is in visibility applications. Few mainstream optimization or management applications are capable of using real-time data in their decision analysis. You will probably have to develop your own applications, or investigate software from smaller providers (which may not easily link to your current enterprise packages). Will my IT guys go ballistic? The easy answer to this question is "oh, yea". Leaving aside potential security issues with bringing external data into there systems, they are going to blanch at the potential storage requirements, applications linkages they need to develop and ongoing maintenance of new software modules needed to support real-time data. Next week, we will examine how to we can use real time data in supply chain and marketing decision processes.